As an agency with a reputation for building world-class solutions with WordPress, it may surprise you that one of our latest and most exciting projects barely even involves WordPress. A new Interactive Dashboard experience, built for Entertainment Weekly’s desktop and mobile websites, presents real-time content from across EW’s vast network of industry-leading entertainment reporting. 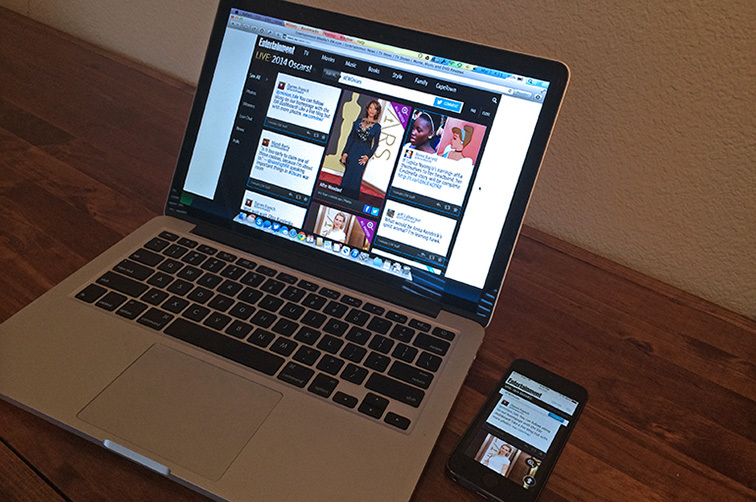 The Dashboard enables EW’s team to instantly post and curate relevant content from Twitter, EW’s network of entertainment blogs (powered by WordPress), and exclusive Red Carpet photos, serving up a true second-screen interactive experience for major entertainment events. The Dashboard had its first successful trial run during the Grammys, and will be in full swing during tonight’s Oscars presentation! Whether you’re on your computer, iPad, or mobile phone, we hope you’ll tune in!